Yeah, I know. Based on the timing of this post, it probably seems like a “Let’s Do Things Better in 2012” post, or worse yet, a glorified list of New Year’s resolutions. It isn’t. It’s more of a checklist of things we should be doing regularly, or a reminder of things we aren’t doing enough of. As freelance voiceover talent, and without a “boss” expecting reports on his desk by the end of the day, it can sometimes be difficult to hold ourselves accountable and ensure that we’re handling our myriad responsibilities. Okay, maybe I’m projecting a bit here, but it’s common complaint I hear from fellow voiceover talent: with so many tasks that need attention, it can be difficult just to wrangle them all onto one list, let alone begin to chip away at that mountain of action items. Well now you’ve got one less excuse, because the wrangling’s been done. Most of the items below won’t take you much time, but you’ll get loads of benefits: more time, more money, better control of your career and happier, more loyal clients. Consider the ROI. We’ve all heard that if we’re looking for new business, then we must be active on social media. Or that the pay-to-play (P2P) web sites are where it’s at. Or that cold calling is the way to go. I’ve gotten a bit of work through social media, none at all through the P2Ps, and while some people swear by it, I detest cold-calling. Regardless of my experiences or anyone else’s, determine which marketing efforts work well for you, and make the most of them. Check the time. Determine exactly how much of your workday is spent 1) doing the work, 2) getting the work and 3) neither one. Increase the amount of time you spend on the second one, and the other two will adjust themselves accordingly. Adjust your rates. Freelance voiceover talent determine and negotiate their own rates. If you fall into this category, and if you know that you’re providing great audio and real value to your clients, then charge real money for it. Talent who work for insubstantial rates are often seen as insubstantial talents. Fine-tune your branding. What might have been the perfect tagline or marketing campaign a few years ago, may not be as accurate as it once was. As we learn, grow and age, our voices and our perspectives change. Ensure that the image you’re projecting is still reflective of your sound and your approach. Nail down your niche. The more specifically (and memorably) you can define your sound for your clients, the easier it will be for them to imagine your voice on their project, making it easier for them to hire you. Fulfill your promises. And your clients’ expectations. There’s no faster way to lose clients than to be difficult to work with, or hard to get in touch with. 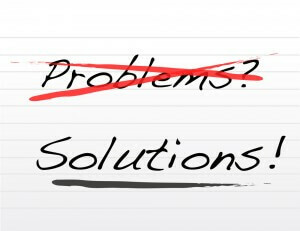 And there’s no better way to earn a client’s long-lasting loyalty than to be a responsive, professional problem-solver. Change your perspective. Take some time to look at yourself (and your web site, and your reputation, and your work) from your clients’ perspective. Do they see you as “someone who does voiceovers” or as a serious, solid, creative professional? The difference between the two can be the difference between A) having a hobby and B) building and maintaining a career. Be proactive. Hoping to be signed by an agent, or land a big new client? Make the first move and get in touch with them. With so many avenues of communication available to you, there are no excuses for not reaching out. Fire a client. If you have a client who saps your energy and requires more time, effort and aggravation than they’re worth, fire them. You’ll be doing yourself (and them) a favor. You’ll also be freeing up time and attention that you can devote to other clients, to yourself, and to growing your business. Create your own support group. Meeting with fellow voice talent once a month to share, support and brainstorm can have a profound effect on your career. Meeting in person is probably best, but with options like Skype and Google+ Hangouts, there’s no reason not to form your own Mastermind Group. Join the community. This is not a paid endorsement for FaffCon4, (in fact, I don’t even think that they exist), but there is no more potent and efficient way to dial up your passion for the work that we do, and the wonderful people who do it, than by attending this “un-conference.” I could write another few pages about the innumerable benefits of FaffCon, but I already have. Work smarter. As solopreneurs, a lot of what we do (marketing, web site maintenance, graphic design, invoicing, Customer Relationship Management, etc.) has nothing to do with voiceovers. Spend some time finding ways to handle those things more efficiently, or outsource those tasks to someone more well-suited for them. Expand your world. Your clients don’t just hire you for your voice, they hire you for you. For everything that you bring to the table (or the studio) as an individual. As someone whose experiences have helped craft your personality and make you who you are. So read. Live. Be. If you aren’t interesting, your reads won’t be interesting either. Become a mentor. Teach a class. Write that book (or e-book) you’ve been meaning to write. You’ll learn at least as much as you teach, and likely lots more. Study more. On the flip side of #14, remember that refining your skills at the mic makes you even more valuable to your clients. And with years of experience behind you now, you’ll be better able to apply the information you get from a great coach to your performances. Improve your surroundings. Acoustically, that is. Since everyone with a Mac and mic can now record and send audio from home, it’s become vitally important to ensure that your audio meets (and hopefully exceeds) industry standards. It’s likely that your clients get lots of poor quality audio sent to them. Make sure it’s not from you. Set the table. You’ll save yourself a lot of time by putting together some simple document templates in advance. Create templates for your proposals, contracts (or terms of agreement) and invoices now. If you’ve already created them, then double-check them for accuracy. Recommend other voice talent. We’re not always the right choice for a client’s project. Don’t try to force your buttoned-up, corporate voice (for example) onto a laid-back surfer script. Instead, suggest to your client that they hire your fellow professional voiceover talent who does sound like a surfer. They’ll both see you as their hero. Win-win-win. When I asked for input on this topic from my friends on Facebook and Twitter, I got some very insightful responses and I wanted to share them here. (Some have been edited for length.) I also received far more responses than I expected, which says a lot about the strength and generosity of the voiceover community. Thanks to all who contributed! Nancy Wolfson: A talented actor without an Entrepreneurial Mindset is a hungry athlete stumbling thru fields of food without pockets. Or hands. Paul Strikwerda: Use the Power of Pricing. Pricing is one of the most important tools for managing your client’s expectations, as well as your bottom line. Your price point sends a clear signal to your market: This is what I am worth. Your fee structure will help you attract the kind of customers you want to be working for, and the type of jobs you are shooting for. At the same time it will weed out the folks who cannot or will not afford you; the ones who are most likely to give you a hard time anyway. Here’s the deal, though: Your fee must be backed up by experience and expertise on one hand, and by a realistic sense of your value in the market place on the other. Amy Snively: Every now and then, take a break from chasing after clients, contacts, and the next big thing, and focus on getting/keeping your skills solid. Be honest with yourself about yourself and don’t be too proud to dust off the basics now and then. Liz de Nesnera: Find a system that works for you. A lot of people say that there’s only one way to stay organized, one one way to file scripts or to invoice. Not so. But you DO need some sort of system. For me it’s: record a job, send out the invoice, enter the info in my database, and file the scripts in my organizer (http://bit.ly/uJg67C) that I have set up by month not by client. Staying organized will help you keep moving forward. Rick Lance: I believe we should all have a written “revisions policy” that your new clients receive from you when you agree to work on a project. I will spell out everything agreed to (project details, payment, etc.) in a short email and get them to send it back to me showing their approval. Melissa Exelberth: Be true to yourself and believe in yourself. You may not notice it but it WILL show in your reads. Move out of your comfort zone, scary though it is. You might surprise yourself. Outsource when you can. Translating. Editing. And when you do, pay people fairly, not just the rates they’re willing to accept because they’re also fighting lowballers, but fair rates for the value you’re getting. Rich Owen: Make friends in this business. Go to conventions, socials, meetings, etc. Use social networking. Absorb as much as you can from those who are successful and those who are struggling to become successful. Be gracious to all you meet and be helpful to others who ask for some assistance or feedback. If we can pay it forward to someone else, we all benefit! Peter O’Connell: Two words: database. no wait, that’s one word. Or did I spell it wrong? Oh crap, nobody told me there was going to a test this morning!!! Dave Courvoisier: Discipline. Doing the things you have to do, even though you don’t want to do them. Jodi Krangle: Remember that as much as what we do is a performance, it’s also a business. Treat it as such. Give it the respect it deserves. If you treat it like a hobby, that’s all it will ever be. And make sure to keep up with your invoicing! If you don’t remember, don’t expect your client to. Anthony Gettig: Take your work seriously. Strive to become a reliable member of your client’s team that they wouldn’t want to work without. I’ll also echo Dave Courvoisier’s call for discipline. Whether it’s vocal warmups before recording or working a little later to meet a deadline, the successful business owners are the ones who are disciplined. Ralph Hass: My daughter challenged me with an American Eagle shirt for Christmas to “soar like an eagle.” I EncouragE you to do the same. EliminatE the other E word in your vocabulary: ExcusEs. Terry Daniel: Sending out post cards to our clients is still very effective. Especially when you remember an Anniversary or Birthday. Upselling! If they ask for a dry read, ask them if they would like background music for an additional fee. Tell your clients that you also know other voice talents that can help out. Kick the low-ball inquiries to the curb. Better customer service. Check in with your client long after the project has been completed. Rosi Amador: Look for opportunities for mentorship in all aspects of our VO biz – including both mentorship you receive and you give/offer, by joining or creating a Mastermind group or other type of similar group (or even one other person) that meets online or in person to share resources, learn from one another, and be completely honest about what’s going right or wrong for you. Don’t be afraid of sharing your vulnerabilities with these buddies and watch yourself gather more courage, strength, inspiration. The wonderful side effect: camaraderie and feeling that support. Dan Friedman: Do not settle for “good enough” in sound quality or performance. Always deliver on what you promise. Make friends and be so good that they can recommend you with confidence. Janet Ault: Don’t stop training; don’t believe your own press; and ALWAYS be grateful: we are so blessed to do this for a living! Morgan Bailey Keaton: Don’t be afraid to give without receiving financial gain (yes, especially when you’re a beginner, but I don’t believe anyone should forget this). Our entire business isn’t about money; if you donate your VO services for a great project, those you worked with will remember your dedication and passion to your work, and will think of you when they have a budget. Frank Baum: Bring talent to the table, follow with study/learn of the business of the business, do what you do really well and learn more, expect everything to keep changing, don’t kill your talent doing what you don’t want to do. Talmadge Ragan: Be accountable – to your clients, yourself, your profession and community. Paul J. Warwick: Play to your uniqueness. So what’s missing from this list? What’ve you been doing that’s been effective for you? Thanks, Terry. And thanks for being part of it! Great to read your thoughts here! I think we’ll all have specific points you’ve made that we’ll focus in on. Like… nailing down your niche. I like they way you expressed that a good strong niche or signature sound, coupled with marketing/branding efforts that are true to your sound, will simplify things for your client or prospective clients. They’re busy people too. For most of us it’s easier to categorize a sound or service that we can go to when the need arises. It was a great idea to get other talent involved with is article too. It gets everyone in the VO community thinking and helping each other. Kind of rounded out the whole message of your post! I think you’re right, Rick…since we’re all at different points in our careers, certain items on the list are likely to resonate mor with certain people. And since you know what a big believer I am in the Mastermind/FaffCon/Community Sharing concept, I’m always glad to have the chance to bring people together. Brilliant – I saw the call for comments for this article and missed the window of opportunity, but reading the article and the comments, I really can’t add much to this. I would like to add that number 1 (ROI) plays a big part in how much time you have to spend “getting the work.” I took a good look at my invoicing this past year, sorted by the dollar amount of the invoice and can clearly see where I should be spending my “getting the work” time. It wasn’t just the specific clients, but the type of clients. Those smaller dollar long-term clients still need my full attention when they send work, but actively seeking more of the same (from these clients and new) is not a good ROI. I’m so glad that you stopped by to add your thoughts here, Connie, thanks! And there’s no doubt that a little introspection can go a long way. Wonderful article. I agree that it is so important to think of the voiceover community as a team. Although you may be competing with someone for a job one day, you may be partnered for a dialogue the next. Be a good team mate. I have always felt that there are many great “voices” out there, so be professional and easy to work with. Control what you can: be on time, be prepared, offer suggestions when they are asked for and know when to keep quiet when they are not. Be available, take direction. There are more, but that’s what I could think of at the moment. Thanks, Jacqui. I couldn’t agree more with your suggestions. Excellent summaary, Doug…now I just need to remember to drag it out at the beginning of every month (week?) and read it thoroughly. Doug: No, Dave, you’re the best. Dave: No, Doug, you are. Both: Okay….Peter O’Connell’s the best! Outstanding article, Doug. This is one of those things where you could look at one each day throughout the month and ponder it. (There are 30 tips and 30 days in a month, so why not?) I’ve passed it on to my local VO meetup group. Thanks for sharing this! Pay it forward. It’s the right thing to do and it feels good. I only wish I could do smooth jazz like you….Pure silk over the air,my wife still misses your pipes. Great advice, keep up the great work in 2012. Wow! Well done!!! Superb insight. Thanks for taking the time to write this!!! Hey Dan, thanks for stopping by…I’m glad you enjoyed the post!